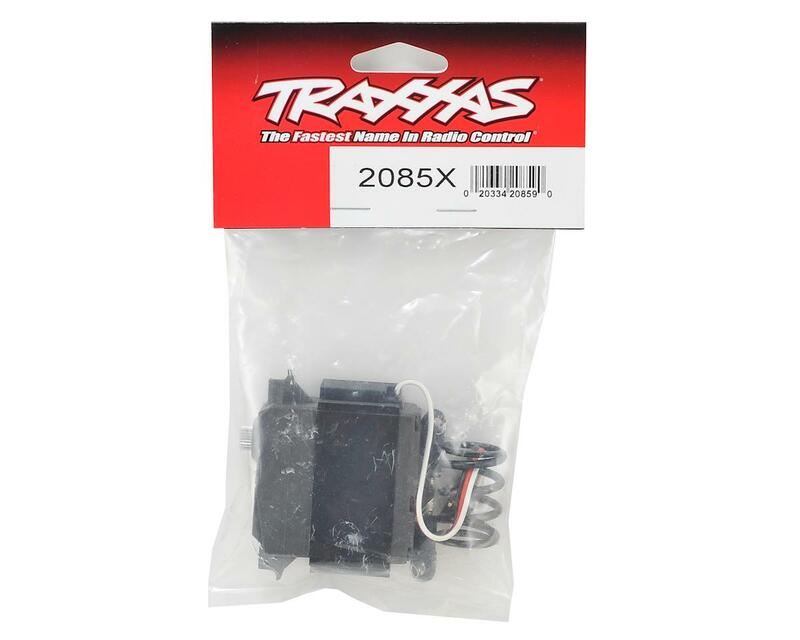 This is the Traxxas X-Maxx Waterproof Digital High-Torque Servo. 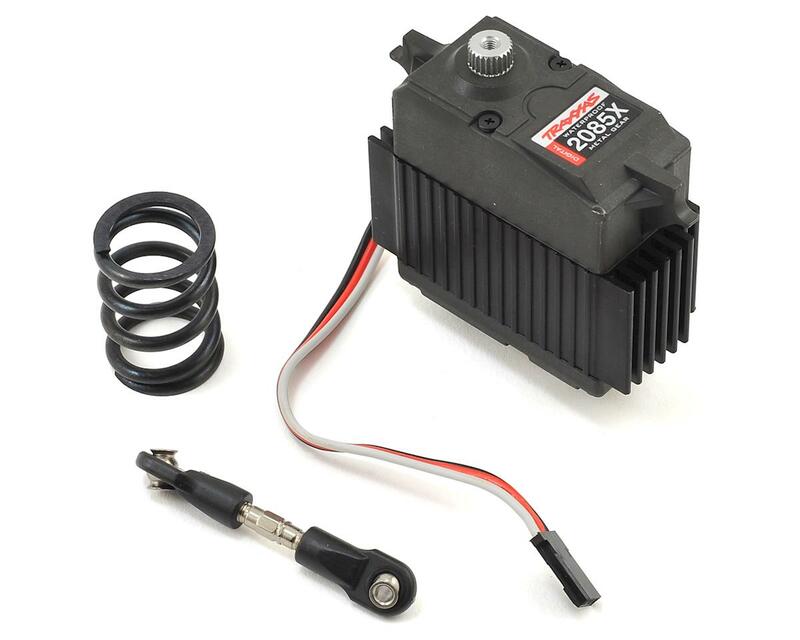 This metal gear (ball bearing) waterproof servo also includes the servo saver spring and assembled steering link. The X-Maxx steering servo includes full metal gears and adds a massive 23% more torque to take on the most extreme environments. The kit also includes a stiffer servo saver spring and steel steering linkage for increased precision and control during high speed driving. I've put this servo through four pretty hard bash sessions, so far it has made it through some very bad crashes. I'm pleased with it so far. I Just installed this in my xmaxx and it lasted 5 minutes before the internal gear stripped out. Not sure if I got a bad one or not because the part that broke has a gear pressed into it that came apart.either way $90 bucks and a week wait for 5mins Of run time!! Save your money and get a better servo this one Says Traxxas on it so I should have known to stay away!! !